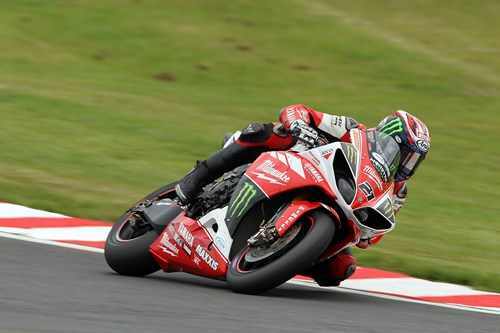 Milwaukee Yamaha celebrated victory in the opening MCE Insurance British Superbike Championship race at Oulton Park this afternoon as James Ellison rode a faultless race to claim his second win of the season. 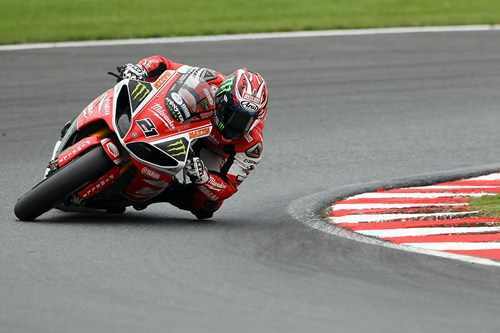 Ellison had qualified on the front row and had a flying start in the race, moving into second on the opening lap with a move at Lodge on Josh Brookes on the second lap. A lap later and he was able to take the lead, passing Lowes at Old Hall and then began trying to edge an advantage. Shane Byrne was pushing Ellison hard in the final laps, but the Milwaukee Yamaha rider controlled the race and defended to have the advantage at the finish. Josh Waters improved in the opening race, ending fourteenth ahead of tomorrow’s two races. Tyco Suzuki’s Josh Brookes took fourth place in today’s opening British Superbike Championship race at Oulton Park’s triple header weekend, with team-mate PJ Jacobsen avenging the disappointment of having to start from the back of the grid in the re-started encounter to charge to an impressive seventh-placed finish. The young American, who celebrated his 20th birthday earlier in the week, made the most of his front-row grid position – his best of the year in third place – and was holding second place before the race was red-flagged. With his mechanics frantically working to make minor adjustments to his machine before the re-start, Jacobsen missed the re-start ‘cut-off’ by just 10 seconds and was forced to start from the back of the grid. 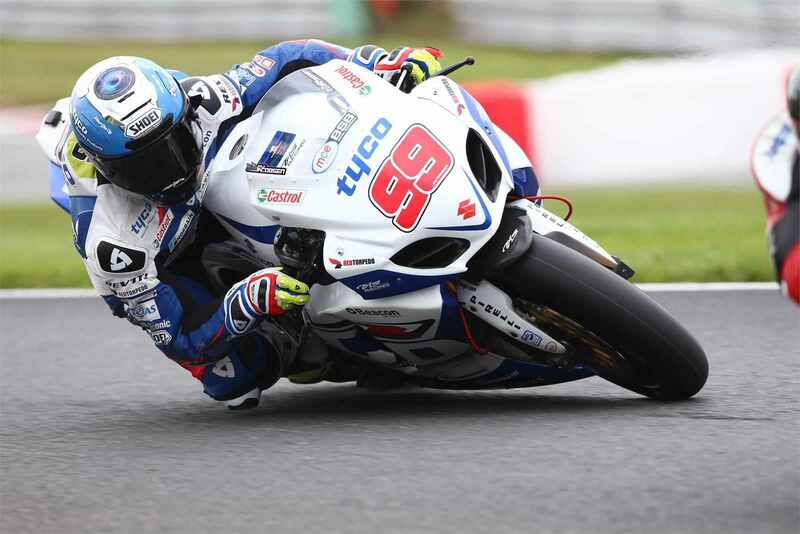 Showing true grit, the Tyco Suzuki pilot forced his way through the pack to take nine valuable championship points and a second-row grid position alongside his team mate for Sunday’s opening 18 lap BSB race. Team Manager Philip Neill said: “We are obviously very frustrated about the incident with PJ, especially missing the re-start out of pit lane by something like 10 seconds. In saying that, he put in an astonishing ride to come through from dead last to seventh place. It’s proof enough that he has moved to the next level in BSB and is now ready to progress even further.